October is Breast Cancer Awareness Month and Freschcetta Pizza is doing their part in helping out. From now to October 31st (hurry!) when you purchase Freschetta pizzas and Artisan Pizza Crusts you will be helping to donate to the Memorial Sloan-Kettering Cancer Center. Each specially marked pizza will have a unique code that you can enter on their Proud to Support Pink site! They will donate a $1 for each code up to $50,000! 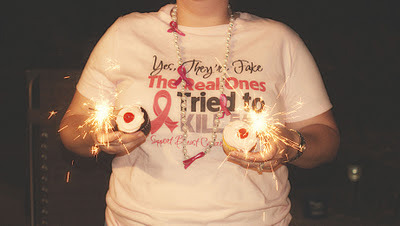 The site also has a place to share their breast cancer journey and maybe inspire someone else. Cancer is in so many lives that I know and we all could use some inspiration. It helps that the pizza is good too! Our favorite is always pepperoni! Eat some pizza, help find a cure! Freschetta is also giving away 50 Ipod Shuffles each week in October and 50 each week will be donated to cancer centers around the country! Enter here. tell me who in the fight inspires you or what you have learned from the Proud to Support Pink site! I am a member of the Freschetta Fresch Connection and received product to review and to giveaway. The opinions and experiences are my own.